Printed from http://www.bodytalksystem.com//learn/news/article.cfm?id=1036 on Apr 22, 2019. I am Dr. Jacquilen Fostor Tomas, Ali, a Philadelphia-based Naturopathic Physician (ND), BodyTalk Access Trainer, Certified BodyTalk Practitioner and a Board Member of the BodyTalk MidAtlantic Association. In addition, I am a Certified Nutritional Counselor (CNC), Certified Holistic Cancer Educator and Master Herbalist (MH). Sounds like I'm an overachiever? Well, yeah, that's how I was raised. African-American families understood that we couldn't be average, we had to go above and beyond "average." With that in mind, there were two criteria in my family that were non-negotiable. (1) "You are going to college and graduating with a four-year degree!" I could choose my college (it had to be affordable; yes, student loans were necessary), however, not going to college was not an option. (2) "You are going to get a job where you can grow, excel (I obtained a Master's Degree) and stay with that job for the rest of your life. And after 30-plus years, you'll retire, collect a pension and social security and ride off into the sunset." I became a classroom teacher. I taught students with special learning needs. I enjoyed it! I taught for 20 years. However, at 20 years, I received a strong "gut message" telling me that it was time to leave teaching. It was a scary feeling, but the message could not be ignored. I took a sabbatical to sort things out because I was going against how my parents raised me. But, during my sabbatical, the message to leave teaching became louder and stronger; I couldn't ignore it! So, I retired. When I told my parents I had retired from teaching, they were frantic. Of course, the question was "so, now, what are you going to do?" I was inspired to open a health food store. So, I created a business plan, obtained funding and a location and was involved in a mentorship with someone who had a health food store. I was receiving first-hand knowledge and experience as to what it took to run a store in general and a health food store in particular. After a year with my mentor, I realized I couldn't do it. I couldn't run a store. When you have a store, you need to be in that one location 10, 12 or 14 hours a day, everyday if you wanted to be successful. I did that as a classroom teacher and couldn't do it again. So, I applied for several jobs and was quickly hired in the pharmaceutic industry. Imagine that, from a health food store to the pharmaceutical industry! I loved it. When my colleagues found out that I was a retired classroom teacher, they had me manage their process for how updates from research and development flowed to the staff. I developed a training process including training teams to deliver the updates; everything worked well. It was during this time that I began my studies to become a naturopathic physician. Naturopathy was already my lifestyle; I just needed the formal education and the degree. Running in the background in my personal life at this time, I was my caring for my parents and husband who all had advanced stages of cancer at the same time! I stayed in the Pharmaceutical industry for 10 years and then the "gut brain" spoke again: "It's time to go." Not so scary this time. I was able to transition into the healthcare field as an administrator. That's when everything began to click--how healthcare in the United States really works. At his point, I had begun my practice as a Naturopath on a part-time basis. I work with clients who have tried several different approaches including mainstream treatments and other holistic healing modalities and they've had limited or no results or they know they need something else but are not sure what it is. I've come to realize that the clients who come to me are those who are ready to make changes in their lifestyle. For some clients that might be adjusting their eating habits. For others, it might be adopting new patterns of thinking. For most people, it means both. 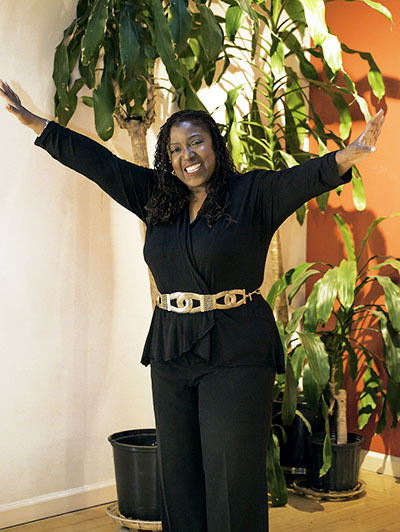 I came to BodyTalk because I had a group of clients who did everything "right." They ate well, exercised, used herbs as needed; however, their health challenges either remained the same or regressed. A friend of mine invited me to a public presentation of this "new energy method." I attended the meeting with great pessimism; I thought this was something that the presenter made up. (John and Esther, you guys really had to persevere when you started this! I get it!). Yet, I was still intrigued. I later looked up everything online and realized that this was a BIG DEAL! This is great! I took BodyTalk Access with the idea that I would learn skills that would help my overall health. It wasn't until the end of the class when the Access Trainer did a full session on someone in the class (I knew this person well) that I was really convinced. The Access Trainer hit everything on target about this person. I said, "That's it! I need to learn this BodyTalk." I took the BodyTalk classes, became a Certified BodyTalk Practitioner and now BodyTalk is the primary focus in my practice. I really love BodyTalk because it keeps my ego in check. I don't have to diagnose or guess what's going on with the person. Their Innate tells me everything I need to know. It tells me what the body's priorities are and not just what's wrong with the body. These priorities are addressed in a specific order that the body wants to address them in and not in the order that I think is best. With BodyTalk, it's the person's own Innate that is doing the work. I'm facilitating but it's the person's own Innate which is supporting healing and balancing. The speed and process a person takes is based on the needs of their own body and the messages their Innate shares. I study a lot because I have to know what questions to ask and Innate has to have a "pool of information" from which to draw. I still include nutrition and herbs, but, I can ask the appropriate questions and not guess. My gut brain gave me a strong message about two years ago that I needed to become a BodyTalk Access Trainer. It's time that I fulfill the tag line of my practice, "Become the Master of Your Own Healing ©." Now that I am certified to teach BodyTalk Access, I am in line with the focus of my practice. I believe that each person must do as much as he or she can to help themselves heal and balance. With the BodyTalk Access techniques, everyone around the world and from all walks of life will have the necessary tools to do this. I love what I do, but, I really love The BodyTalk System. It's the best thing since sliced bread!